One Floor Living!! 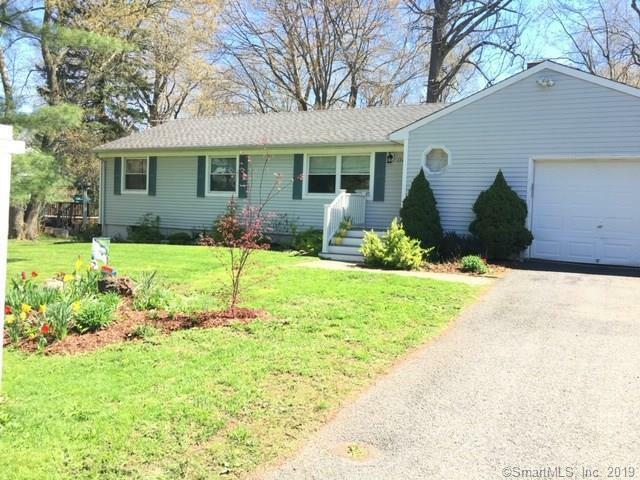 Move right into this Remodeled 3 BR 1.5 Bath Ranch Style Home offering an open & entertaining floor plan! Beautiful New White & Bright Kitchen with Granite Counters & Tiled Back Splash!! Custom Built Butcher Block Island with Builtins!! New Appliances!! Dining Room Area with HW Floors and Door to 3 Season Sunroom with Sliders to Multi Level Deck overlooking a Private .69 Acre Lot!! Livingroom with HW Floors & Fireplace with Builtins!! Master BR with HW Floors and its own Remodeled Half Bath!! The 2nd & 3rd BRs have HW floors!! Remodeled Full Bath!! Huge Full Basement!! Attached Garage with Electric Opener! Welcoming & Inviting Neighborhood!! Make this your Happy Place!! Directions: Cherry Hill Rd. Between Strickland & Hubbard.